Chitty Chitty Bang Bang: the magical car. Adventure number two (2). Illustrated by John Burningham. Pssst...want to know a secret? 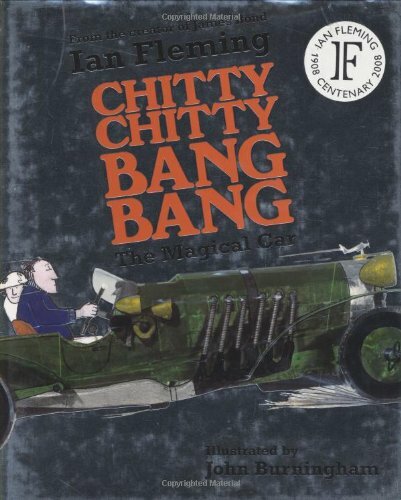 Chitty-Chitty-Bang-Bang isn't any ordinary car. It can swim. And fly. It can even think for itself! Chitty's owners, the Pott family, love adventures. But they've never come across gangsters and explosions and secret underground lairs before! So when they find themselves in a desperate chase to stop the gangsters' evil plan, they know where to turn, Chitty to the rescue! 4/10/2009 Timothy Schenk said: I actually read a first edition from my local library. I was surpised by this author's ablity to write for children given his popular spy genre.